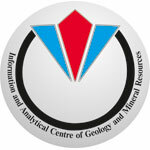 The main function of the Republican State Enterprise «Information Analytical Center for Geology and Mineral Resources» is prompt informational providing the state bodies of the Republic of Kazakhstan, domestic companies and potential investors of the current state and development perspectives in mineral raw material resources complex of the Republic of Kazakhstan. IAC issues different infrastructural maps -administrative, mining-metallurgic, oil and gas, electricity and power for every oblast and for the Republic in whole. IAC provides geological information on certain fields for subsoil use for individuals and business units; issues References for all types of mineral resources of the Republic of Kazakhstan, references of legal act on subsoil use, analytical reviews, forms and supports informational data bases on subsoil and its use; exhibits the samples of natural treasures of Kazakhstan; provides educational work in geology and subsoil use for the young population of the Republic.